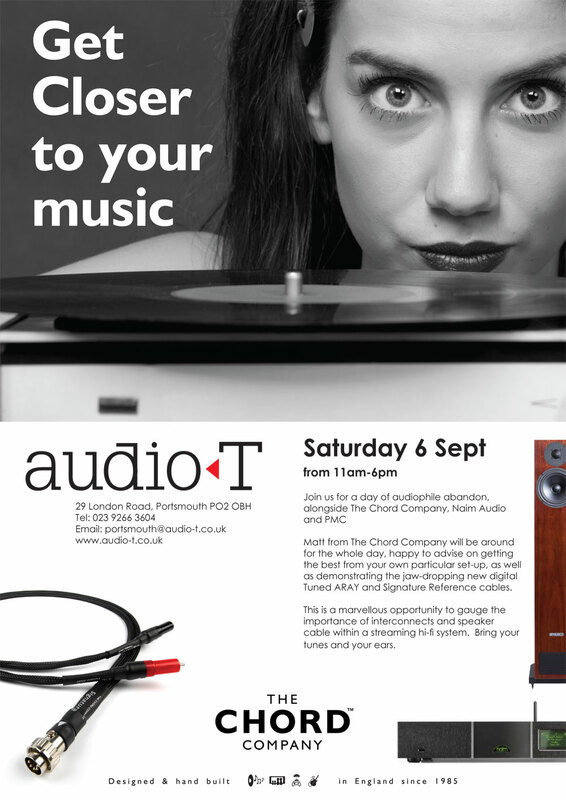 We are having a Chord Company event on the 6th September from 11 - 6pm. The emphasis will be on the new upgrade cables that Chord do to replace the Naim Snaic 4 and 5 leads (pre to power), and their ethernet range. There will be demonstrations of the sound improvements that these cables can make, so anyone who is interested in a relatively inexpensive upgrade to their Naim system, or streamer, should pop along for a listen. We will be using our Naim NDX, NAC202, Hicap DR and NAP200 system through a pair of PMC Twenty24 speakers. The cables we will be demonstrating are the Chord Chorus and Signature Tuned Aray as replacements for the Naim Snaic 4 and 5. Plus Chord Ethernet cables from the £40 C-stream upwards.